Our emergency care services are available 24 hours a day, 7 days a week and on holidays to provide care for any unanticipated medical concerns. We are also available 24 hours a day by phone for any questions that you may have about your pet. 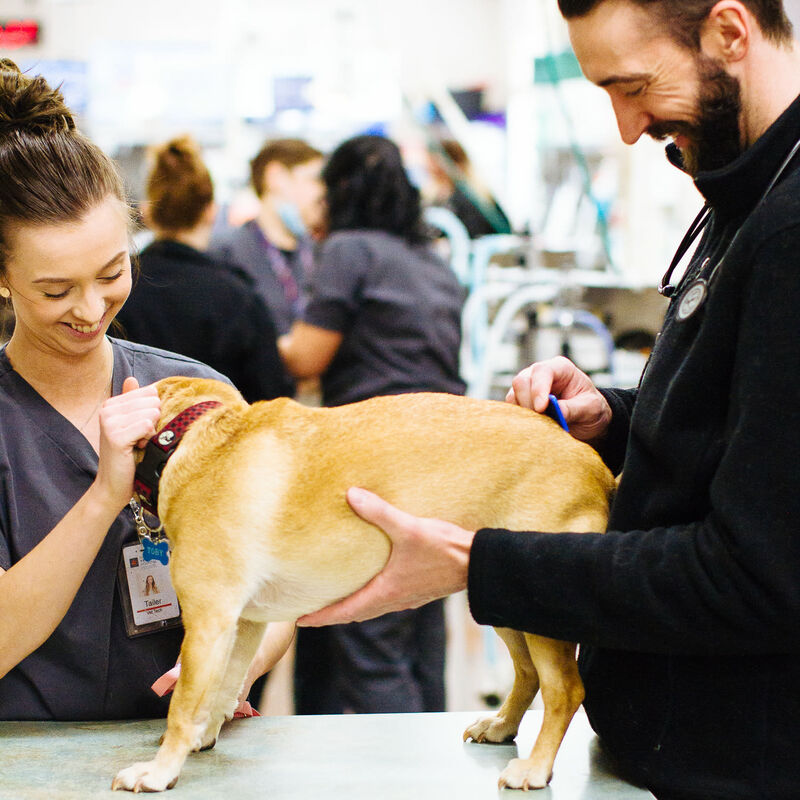 Our emergency department is staffed by knowledgeable and caring veterinarians, licensed technicians and technician assistants. We have access to immediate diagnostic tools such as a full in-house laboratory, digital radiology, and ultrasound for quick results, which lead to a faster diagnosis. We are able to provide 24 hour hospitalization with your pet being closely monitored at all times. We have a centralized technician station so that all of our patients can be assessed frequently. We also have access to other specialties such as a radiologist, an ultrasonographer, and a variety of specialists that we can consult with on more challenging cases. 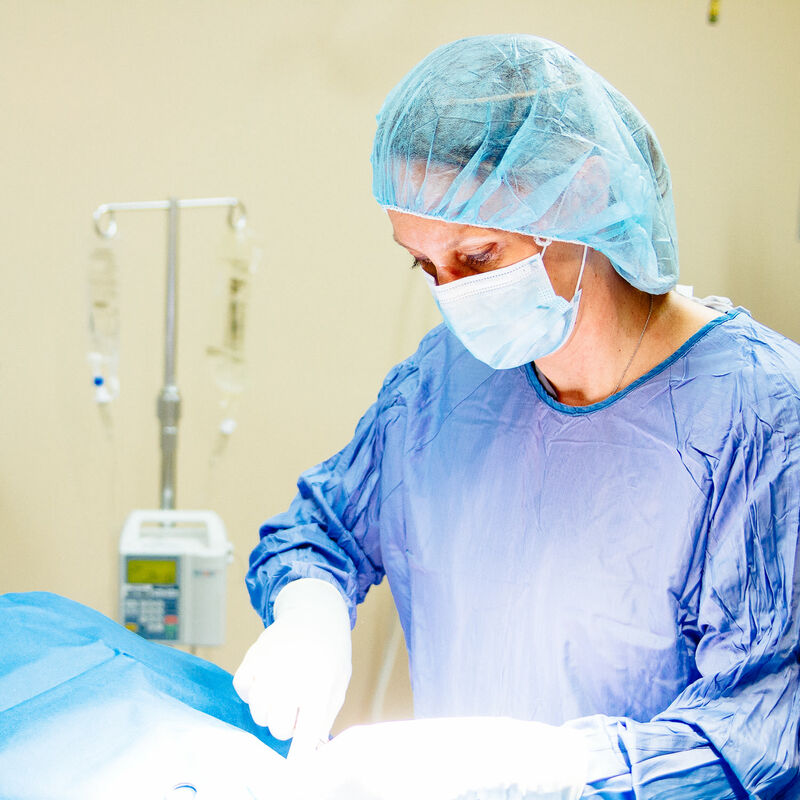 The emergency veterinarians are capable of performing a variety of emergency surgeries such as lacerations, splenectomies (removing the spleen), and foreign body removal just to name a few. Some of the emergency veterinarians are trained in other skills such as endoscopy, orthopedic surgery and exotic animal medicine. We strive to work as a team and collaborate as one whole unit. Working together ensures that we provide the best possible care for your beloved pet. We understand how scary it can be to have a sick pet. Our teams ultimate goal to ensure that both you and your pet are comfortable in this time of need while providing the best possible care. If you notice your companion exhibiting any of these signs, it’s time to call for help right away. At Sumner Veterinary Hospital, we always recommend calling ahead when an emergency occurs. This allows us to evaluate the situation and provide first aid instructions over the phone. It also lets us prepare the hospital and other team members for your pet’s arrival. Of course, should the nature of your pet’s emergency not allow time for a phone call, don’t hesitate to come directly in for immediate attention. After you check-in with our receptionists, a technician will meet you in the lobby to assess your pet. Any unstable pet will be taken into the treatment area immediately to be assessed by our emergency veterinarian. Once your pet has been stabilized, the emergency veterinarian will meet you in an exam room to discuss a plan for diagnostics and treatments. We try hard to offer many different options to fit your family’s situation. We also offer access to a computer to apply for Care Credit and Scratch Pay if needed. We sincerely hope you never experience the need for urgent veterinary care. If you do, however, we want you to know who to call. The team at Sumner Veterinary Hospital will be here to provide the necessary services. You can count on us!